The English Faculty deliver a variety of courses at all Key Stages, developing skills in both English Language and English Literature. The faculty has dedicated teaching staff, inviting teaching spaces and are committed to delivering excellent learning for all students. 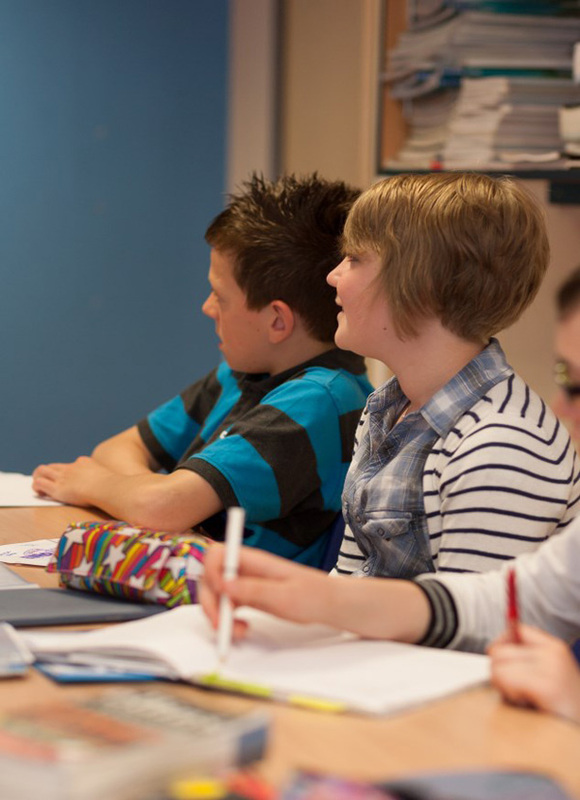 The new English curriculum for Key Stage 3 is an innovative, exciting and challenging course designed to meet the key requirements laid out by the government and to inspire a passion for English throughout a young person’s life. All the groups are mixed ability and are taught in tutor groups in KS3, with core assessment tasks taken throughout the year to help monitor students’ progress on reading, writing and speaking/listening. Alongside the regular setting and marking of classwork, the core assessment tasks allow us to gauge each student’s progress and set strategies to improve the student’s learning which they record in their English work book. The Year 7 schemes are structured to ignite the student’s interest in a range of authors and text types, as well as focusing on the writing/speaking skills needed to communicate with the wider world. The authors covered include Dahl, Rowling, Stevenson, Morpurgo and Shakespeare with poetry, prose and drama prevalent throughout the year. 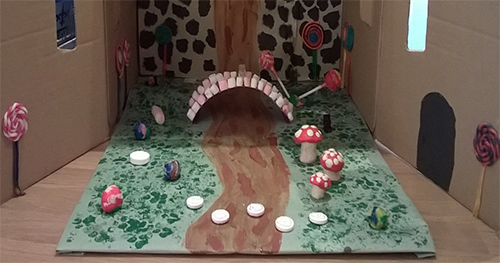 The Year 8 model develops and builds on Year 7, challenging students to widen their reading and writing skills across a range of different genres including Gothic fiction. 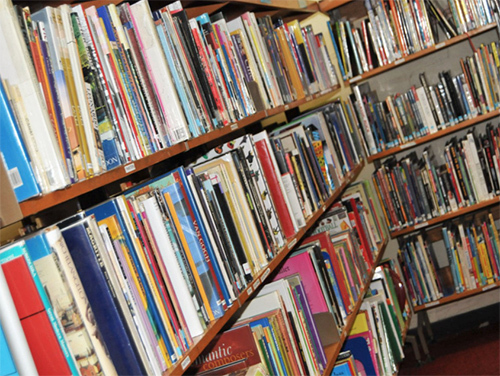 Authors studied include Armitage, Blackman, Hill and Palacio with opportunities to explore and probe ideas through drama, creative writing and the timetabled library lessons. Key topics: Ghost and Gothic Fiction – ‘Woman in Black’ by Susan Hill, War and Conflict and Crime In The Media Love, ‘Romeo and Juliet’ by William Shakespeare, ‘Naughts and Crosses’ by M Blackman and ‘Wonder’ by R.J Palacio. The final year of KS3 consolidates all the work done to date and begins the transition towards KS4. If Year 7 was about igniting interest, Year 8 about building and developing skills, then Year 9 is about refining skills while promoting independent study. Students will study Sci-fi writing, the drama of key playwrights such as Miller alongside the seminal works of our time including Orwell’s ‘Animal Farm’ and Steinbeck’s ‘Of Mice and Men’. Key topics: Prose Study – Science Fiction Short Stories, Author/Prose Study – George Orwell and John Steinbeck. Contemporary Drama – ‘Journey’s End’ or ‘The Crucible’. Across the key stage the English Faculty allows all the students the opportunity to carry out Independent Learning Tasks or Learning at Home Projects alongside the more traditional period homework. The tasks take the place of traditional homework and focuses more on a long-term project resulting in an extended piece of work that could take the form of a piece of creative writing, a model based on a key text or a drama performance. Students choose the project based on their school target and manage the task over the half term in consultation with their class teacher. Along with the weekly homework this allows for deeper exploration of topics and promotes the independent learning the school believes is the next step to being outstanding. 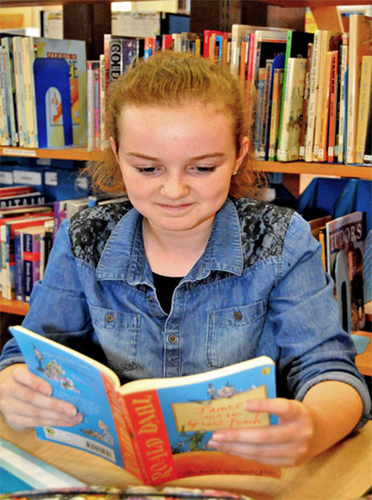 To support the students’ learning across KS3 they all partake in a library lesson where they get the chance to take out books, use the library’s resources and complete tasks towards their ‘Reading Island’ reading reward scheme. 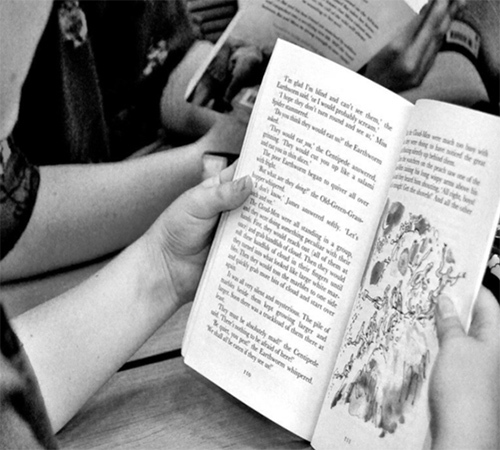 All of these opportunities are designed to promote reading for pleasure as part of the school’s drive to raise the standards of literacy across all areas. The skills of reading, writing, speaking and listening are of vital importance in many areas. Not only are they essential in many careers, they also underpin successful study at all levels, and a proficiency in them can also add immeasurably to an individual’s general quality of life. This specification is designed to aid and assess such development, and to encourage learners to be inspired, moved and changed by following a broad, coherent, satisfying and worthwhile course of study. It will prepare learners to make informed decisions and to use language to participate effectively in society and employment. Different forms of assessment are appropriate to these different skills and this is recognised in this specification. 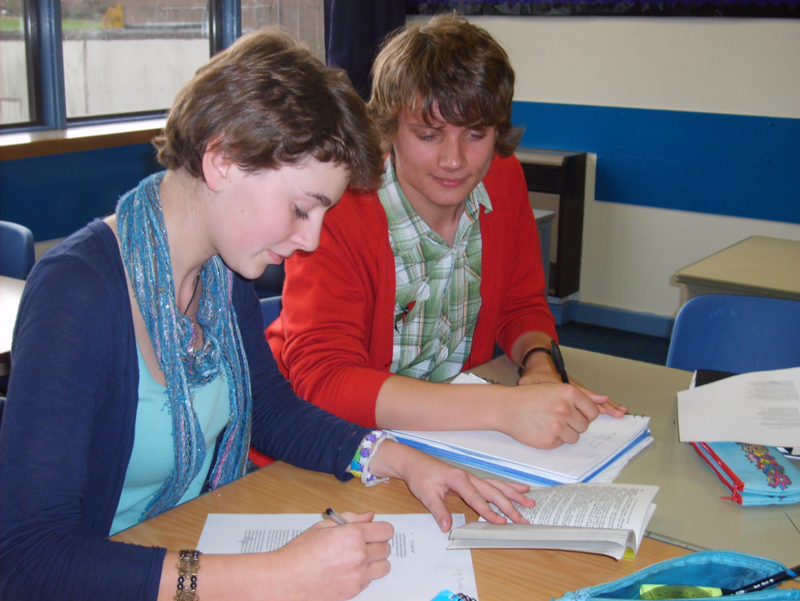 Reading and writing are assessed through two externally marked units. Speaking and Listening is assessed in a variety of different situations during the course but does not count to the overall grade awarded. require that learners become critical readers of a range of texts, including multimodal texts and at least one extended text. require learners to write accurately and fluently, choosing content and adapting style and language to a wide range of forms, media, contexts, audiences and purposes. require that in speaking and listening learners present and listen to information and ideas, responding appropriately to the questions and views of others. All of the above requirements are met by this specification. This specification is based on the conviction that the study of literature should centre on an informed personal response to a range of texts in the genres of prose, poetry and drama. Assessment is through external assessment and examination. Teachers and their students have some flexibility in the choice of texts to be studied as it is felt that the study of literature can greatly enhance a student’s writing skills, and that practising his/her own writing skills can lead a student to increased enjoyment of, and success in, reading. require that learners become critical readers of fiction and non-fiction prose, poetry and drama. They should experience different times, cultures, viewpoints and situations as found in literary texts and explore how texts from different cultures and traditions may reflect or influence values, assumptions and sense of identity. require learners to connect ideas, themes and issues, drawing on a range of texts. require that learners understand that texts from the English, Welsh or Irish literary heritage have been influential and significant over time and explore their meaning today. 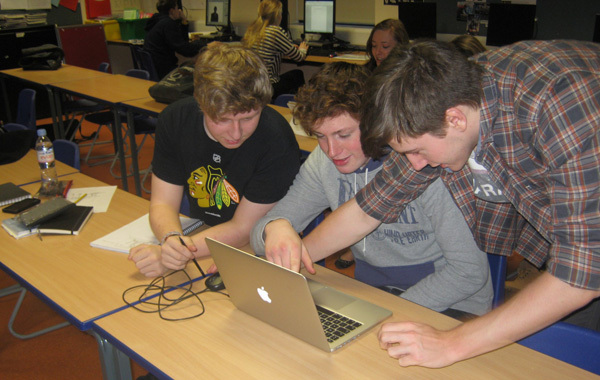 The GCSE Media Studies course attracts an increasingly large number of students every year because it makes learning interesting, challenging, creative and fun. It offers rigorous but accessible learning on a subject of key importance for young people’s understanding of the world they experience. 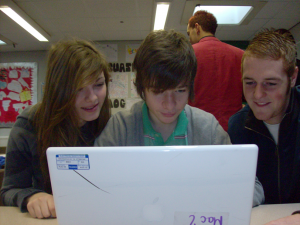 Although there are a number of formal written exams at the end of this course, GCSE Media Studies provides students with the chance to engage with practical coursework assignments which make up a percentage of the overall GCSE grade. Have you ever wondered why people speak differently, or how you learnt to speak when you were a baby? Now’s your chance to find out! The new A Level English Language course gives students an invaluable opportunity to investigate and understand the language of the world around us. Students will discover how language works, how text producers manipulate their language for effect and how everything from our first days as a baby to our gender and our role in society impacts on our own personal language. Language is perhaps the most powerful tool anyone has at their disposal and this course gives students the chance to understand how and why and even influence it themselves. Language under the microscope – students will consider the effect of lexical choices and grammatical features in a short written text. Writing about a topical language issue – students will present and explore ideas and attitudes towards language through short pieces of original writing which has a real world purpose. 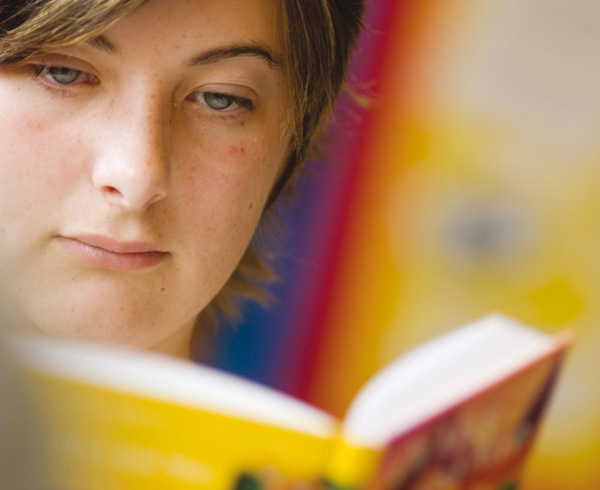 Comparing and contrasting texts – students will analyse linguistic features and apply theoretical concepts. Child language acquisition – students focus on how children develop their spoken language. Language in the media – students consider relevant theories of power, gender and technology to explore media texts. 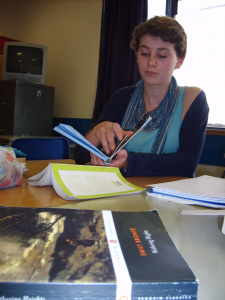 Language change – students will investigate how the English language has changed over time. Students investigate an aspect of language that particularly interests them and produce a 2000-2500 word essay and an academic poster. “My English A-level taught me to manipulate the language to suit the audience, making them receptive to my message”. Let your imagination run free as you immerse yourself in different worlds – then explain to people what you found there. Following AQA’s new specification, students will study a wide range of texts and forms from across time. Following the theme of Love Through the Ages in Year 12, the course content covers poetry, prose and drama, including a key Shakespeare play. Year 13 focuses on Literature of the Modern Times and explores key themes such as identity, gender and racial discrimination. Texts studied include Owen Sheers’ Skirrid Hill, The Help by Kathryn Stockett and A Streetcar Named Desire by Tennessee Williams. Students are also required to complete Non-Exam Assessment, which gives them the flexibility to choose their own texts and focus to produce a 2500 word essay. A New-Historicist approach underpins the course to help students understand how context has influenced literature and critical reception. Assessment in Year 12 and 13 is completed at regular intervals. In Year 12, the study of set texts including ‘Othello’, a pre-1900 Poetry Anthology and ‘The Great Gatsby’ afford opportunities for assessment each half term. In Year 13 assessment comprises of exam tasks relating to the modern literature texts studied and the Independent Study essays undertaken by students across the course of the year. In addition to this, mock examinations take place in both years to assist students’ knowledge regarding the format and assessment of the examinations. Grading is shared with the students across the course and next step targets are given to ensure students know how to improve in line with the examination mark scheme. – Almost anything – many organisations see a qualification in English as a sign that you are able to master a wide range of skills. “Literature adds to reality, it does not simply describe it. The more I read, the more I want to read”. You will learn how to read the codes that inform the way we interpret and are influenced by print, electronic and moving images. The course is based on a theoretical framework of four keys areas: Media Language, Representation, Audience and Industry. Within each key concept module, students will study a range of set texts designed to offer a broad and balanced taste of the media. You will also have the opportunity to apply your new skills practically, becoming confident creators of media texts. – Developing your analytical skills? – Understanding what things really mean in the world around you? – Learning a range of practical skills including filming and editing? “It has not only broadened my taste in television and cinema, but has opened my eyes to how media is produced and what influences it has on society”.